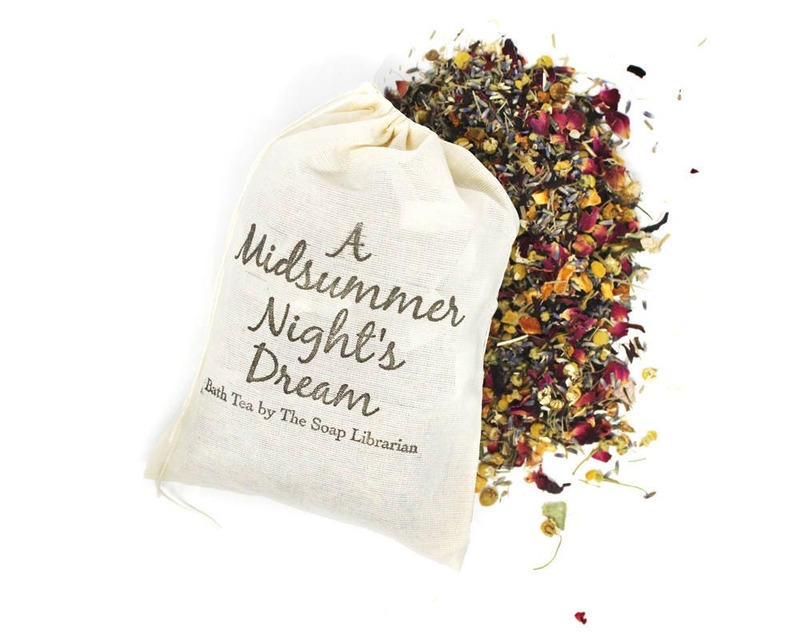 This A Midsummer Night's Dream bath tea is inspired by Shakespeare's classic work. It makes the perfect addition to a soothing bath. 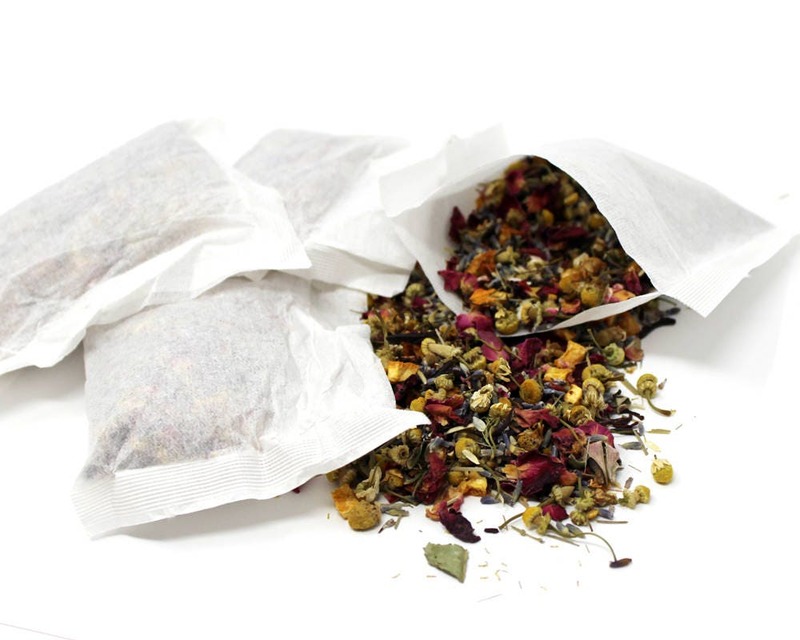 Each muslin bag contains 6 tea bags stuffed with a beautiful blend of dried flowers and herbs. It weighs 2 ounces total. 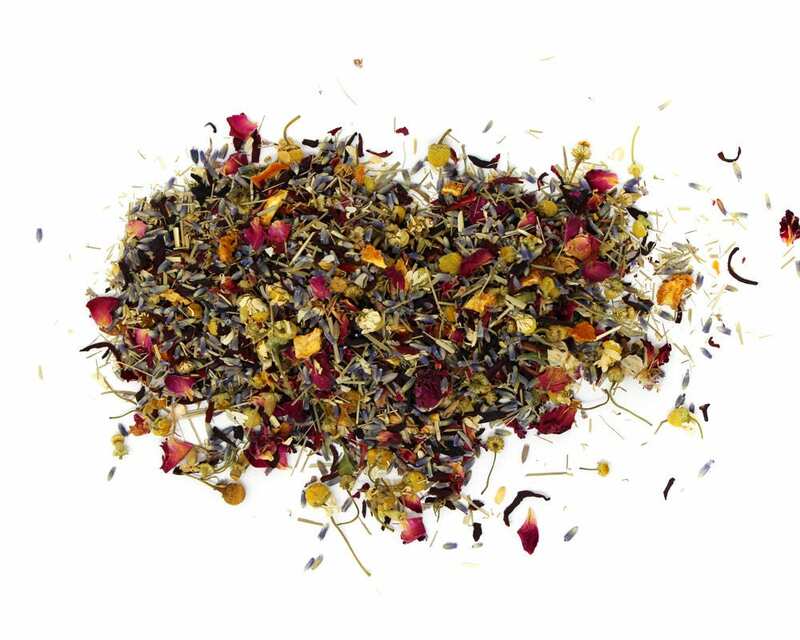 Chamomile Flowers, Lemongrass, Orange Peel, Lavender, Rose Petals, and Hibiscus. While taking a bath, drop one tea bag in the water and relax. Smells great and is perfect for my daughters wedding theme! I love this! It is going to make the perfect gift for a Shakespeare lover!